Career coaching spans several different areas. It is about guiding you and supporting you in the journey of learning about who you truly are. This is more than what your friends, family, teachers, and colleges tell you or even what you think you are. It is using the science of assessments to learn more about your passions, your dreams, your strengths, and your personality. It is guiding you to find your true calling by evaluating your skills, past experiences, education, and natural abilities to find a career path that you love. Our signature program is designed to connect your strengths to your passions and build you a brand and a plan that makes your dreams a reality. Our 5-step signature program was built on the fundamental belief that job hunting is more than just applying for a job through an on-line job board. Each step was developed to explore different areas and build on each other so once you are finished with the program, you will have a great sense of who you are, what you are meant to do, how to get there, and have the confidence that you have the skills and tools to land you that dream job! To discover your true authentic self, we want to explore where your strengths are, what your personality is like, how and where do you work best, what motivates you, what you love, and what you see for your future. Using a combination of tried and true assessment tests and specialty exercises we will begin to build you a big picture view of you. The true you. Once we have a good sense of your core self and how you operate, we will begin to explore what you are meant to do. This is exploring different career options, types of companies, locations, industries, and even company cultures. A job should be more than just something you go do between the hours of 9-5, it should be a place where you feel inspired, challenged, and excited to contribute to the overall mission of the company. Using what we discovered in steps one and two, we will begin to construct your personal brand. Your brand is more than just what you do, it is perhaps the single most important way to stand out in the crowd. It is your “mark”, your reputation, your whole package of your personality, skills, and abilities. It is the image that you create and the message that you send to prospective companies and hiring managers. Our goal is to build you a brand that demonstrates who you are, what you can do, and how awesome you will be at doing it! 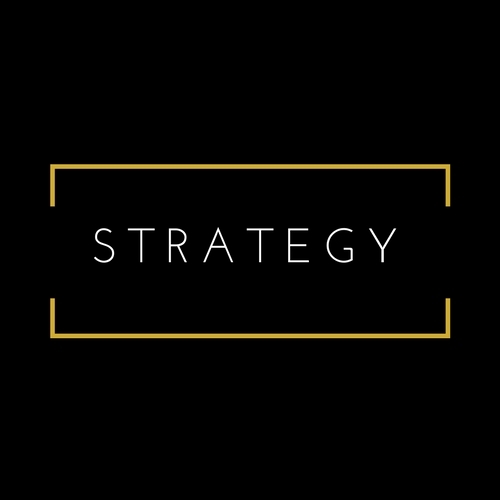 Now that we know who you are, what you want to do, and have developed a signature brand for yourself, we want to build a strategic plan on how you find and apply for the dream role. As we discovered in Step 2: Targeting, you have a type of role and company you want to pursue. While this will range from industry to industry and role to role, we will build you a roadmap that will incorporate different types of networking, application strategies, and relationship building. You will walk away with a clear plan of attack of what you need to do to land that perfect opportunity. No matter how great your brand is or how strategic your plan is, if you don’t have the skills to support this process, there is a good chance you will fail. This final step is designed to make sure that you are ready by developing your skills surrounding key areas such as networking, interviewing, and negotiations. It’s more than just a practice makes perfect approach – it’s approaching these areas with purpose, efficiency, and strategy. Once you complete this program, you will walk away feeling more confident, focused, and ready to tackle the job hunt with precision and purpose, leaving your signature on this great city!